The programme, chaired last evening by Mr Trefor A. Grant, had on its panel Premier and Minister of Finance Dr The Honourable D. Orlando Smith, Minister for Education and Culture Honourable Myron V. Walwyn and two House of Assembly back benchers Honourable Delores Christopher (R5) and Honourable Alvera Maduro-Caines (R6). While the female caller, who without being disrespectful, told the panelists that it was time for them to zip it and allow listeners to participate by calling in, she also asked the Premier why the West End Post Office was closed but received no answer as a few supporters of the NDP called in and took over the ‘babbling/long talking beat’ that quickly dissolved the remaining time left on the programme. Parsons’ nasty comment to Hon Fahie justifiable? Persons who subsequently made several calls to this news site expressed disdain and disgust at one caller who called on ‘the person’ to apologise for making public a nasty comment recently. 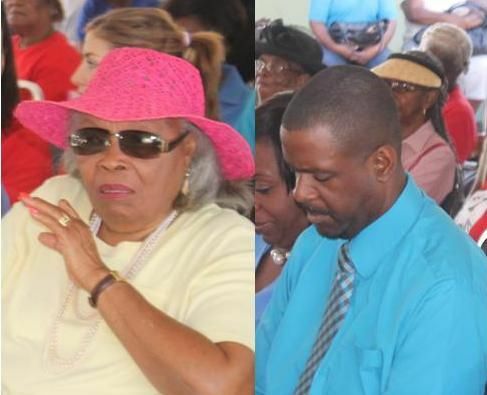 It was obvious to the public that the caller was referring to the recent incident that occurred between former legislator Ms Eileene L. Parsons and senior Virgin Islands Party (VIP) member Honourable Andrew A. Fahie (R1) at the opening ceremony of Farmers’ Week recently. Ms Parsons had allegedly used the ‘F’ word as Honourable Fahie attempted to publicly greet her as he did everyone else, including the Ministers of Government present. 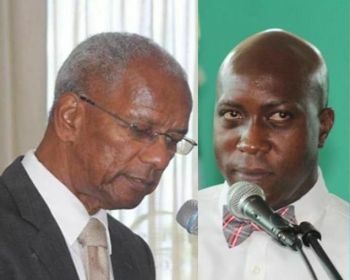 “Well Ms caller since you took up all the remaining time so we couldn’t call in let me tell you this… When Hon Fahie said what he said at his meeting he had every right to say so, you obviously don’t listen to the HoA to hear the ugly things those very people you defending say to the Opposition. Politics is a nasty game that you seem not to have a clue of so shut your… and go sit down. Now, I am angry at you for what you said so I just reacted. Everybody in the VI can cuss some bad word because left right and centre our leaders telling us that it’s ok to use bad word when you vex and I blasted vex with you,” said one person who contacted this news site following the radio show. “Actions speak louder than words and I was in a row behind Eileene Parsons, VINO please don’t put no Ms or OBE after her name in my comment because I lost all respect for her, like I say I was a row right behind her and everyone sitting with me heard that lady loud and clear so I don’t know what you saying. You (caller) are obviously a crony, and her actions also spoke volumes,” continued the caller. so why did the vip supporters not call inn, guess u would say the ndp blocked them too! I did not hear the talk show, but wrong is wrong, Ms. P, persons sitting close by did hear what you said. But face it Ms. P is so rude and stubborn that we all know that she is not going to apologise. But what gets me is that the Premeir condoning her behavior instead of asking her to apologise or he himself apologizing. This is the kind of thing everyone is seeing young and old. Lack of respect, is this a good example we setting for our kids. Dr. Smith is better you had blame her behavior on the RUM and apologise cause this persuaded even more people NOT to vote for NDP. The NDP developed a bad word culture. First it was ronnie blazing some under elmo stoutt then turned around and cuss in the house. Then pow blazed some at the auditor general. Now miss p blazed some under andrew. THIS IS A CULRE OF DISRESPECT! how you forgot to mention how the new chairman of the TRC was encouraged to use nasty words? Just look at the debel eyes just look at um!!!! I wonder why the NDP aint had miss P on radio since farmer's week? Them fraid she cuss on radio? If the VIP have a record to run on they will win so let's see what their record was before they were defeated.If they had a record they would still be in power,so let's see what record they will be campaigning on this election.May be they have to join a collision Gov like St Kitts,stay tuned my people.